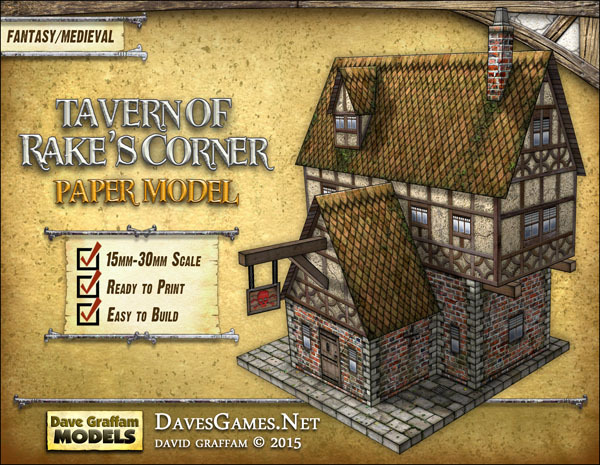 This paper model kit is easy to assemble, requiring just 8 cardstock paper sheets to print on (110 lb. or 199gsm recommended), scissors, hobby knife, paper glue, metal ruler and cutting mat. Optionally, you can use a piece of foamcore for the base. This specially-priced model features a single-layered PDF that's ready to print right way. 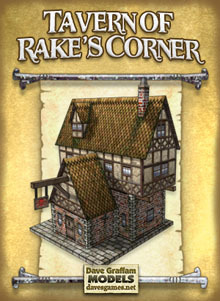 This model includes a complete model building and ground piece. 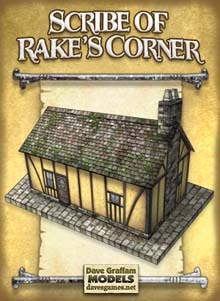 The Tavern's T-shaped footprint measures about 5.5" x 5.5", and it stands about 7" tall including the chimney. The ground piece measures 6" x 6".